There is now a sign erected over the exit from Clapham Junction Station telling everyone that they are in Clapham Junction, (SW11, Battersea), and not in Clapham (SW4, Lambeth borough). And it even lights up at night, so train users always know where they are! 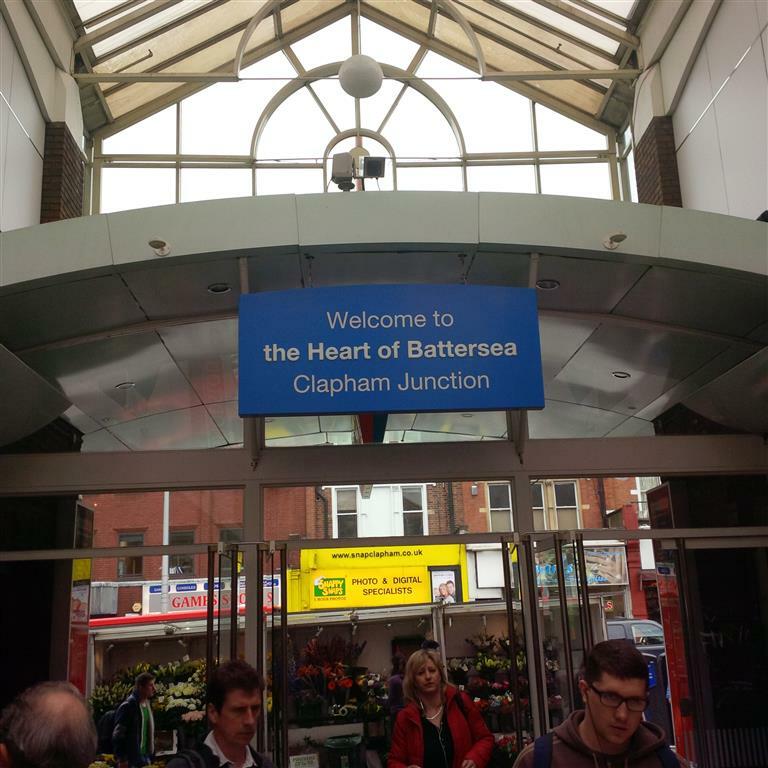 We all need to thank Philip Beddows and the Love Battersea campaign who have been chasing up all those shops and organisations which misplaced the location of Clapham Junction in Clapham, instead of Battersea since… September 2005! They started campaigning specifically for a sign with this wording 5 years ago. One of the major victory in December 2011 was with Google map correcting its data and putting Clapham at the location where it is, and not in the middle of Battersea on top of our town centre Clapham Junction. Since then the campaign managed to register many other success such as Asda renaming it shop “ASDA Clapham Junction, Battersea” (despite evidence, Asda decided first to hold a ballot to decide if they were in Clapham or Battersea!) or Travelodge Hotel beside Clapham Junction station first advertising their location as Clapham. Recently we spotted a similar error in Topps Tiles advertising for their new shop in St John’s Hill. The shop had actually responded to earlier notification and already corrected the mistake. Clapham Junction takes its name from the famous railway station. The first station opening in 1863 was called Falcon Bridge but later changed name for “Clapham Junction”, as in the mid 19th century the area of Clapham was seen as much more attractive. This sign is great news.